I was very disappointed to miss hearing you at the Sydney Writers’ Festival, Gabrielle. What did you talk about and what did you particularly enjoy about your sessions? I’m disappointed I missed out on meeting you too, Joy. It was a crazy-busy week, and we obviously both had full dance-cards! As for my Festival talk: I have a theory about teenage audiences –10% of them love writing, and really want to be there. 20% are readers, so they’re happy to be there as well – that means 30% of the room are ‘interested’. 40% are pleased to be missing out on classwork, and if they enjoy the talk that’s a bonus. I put them in the ‘open’ category. That leaves 30% of the room at various degrees of active resistance to listening to what I have to say. I figure I’ve already got the ‘interested’ top 30%. The ‘open’ 40% can be persuaded. But it’s those tough nuts in the bottom 30% – the ones who don’t want to be there – who I want to crack. So my talk is directed at them. I talk about what I was like when I was at school (bad), and I read out extracts of my year 11 report (very bad), which generally sends a gasp through the room. I then explain that I’m a professional liar these days because I’m paid to make up stories, but I add that they shouldn’t judge me too harshly because actually, everyone lies. The fun part is when I ask them to put their hand up if they’ve told a lie that morning, and most of the room puts up their hand (including teachers). I then explain that lying isn’t always bad, because it utilises a particular type of thinking called ‘divergent thinking’ which is important for creativity. I take them through a technique I use called Nine Squares – which is divergent thinking made easy – and explain how they can use it for good (coming up with ideas), instead of evil (telling lies). One of the things that I particularly loved about my sessions at the Festival was when teachers came up to me afterwards and said they’re now going to incorporate Nine Squares into their classroom lessons. And when a group of boys walked up to me and said they thought writing sucked, but they’d each bought a copy of my book for me to sign anyway. Well, that right there felt like success to me. What a great turn around with those students, Gabrielle! Where are you based and how are you involved in the YA literary community? I’m a Melbourne girl, and work a couple of days a week at Readings books in Malvern. I’m lucky enough to have made a fantastic group of friends in the Melbourne YA writing community who I’ve met through talking at Festivals and school visits – Fiona Wood, Cath Crowley, Emily Gale, Nova Weetman, Kim Kane, Bec Lim, Chrissie Keighery, and Simmone Howell are all people I catch up with regularly. I’ve also become great friends with some Sydney writers (again through Festivals) and catch up with Kirsty Eagar, Melina Marchetta, and Will Kostakis whenever I’m in their neck of the woods. I’ve really enjoyed the originality of your novels, Gabrielle. Could you give our readers a brief overview of each? That’s gorgeous of you to say so, Joy. Thanks. My first YA book was ‘Beatle Meets Destiny’ which was about a superstitious boy called Beatle, who meets a girl called Destiny in unusual circumstances, and wonders whether she’s ‘the one’ – only problem being that Beatle already has a girlfriend. My next book was, ‘The Reluctant Hallelujah’, a crazy road-trip type adventure between a group of 5 teenagers who have never met each other, but who have to drive (unlicensed) from Melbourne to Sydney in order to deliver the body of Jesus Christ to his next ‘safe house’. Some people were put off reading it because they thought it would be thrusting religion down their throat – it wasn’t. It wasn’t about religion at all (despite the fact that Jesus Christ Himself featured as one of the characters). In fact, it was an exploration of the themes of trust and selflessness, and I loved writing it because I felt like it was such an original concept. 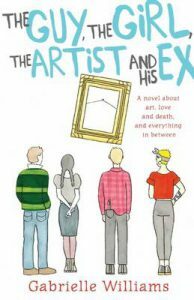 My third book was called ‘The Guy The Girl The Artist and His EX’. It follows four characters (again, who don’t know each other) who are all impacted on by the real-life theft of Picasso’s ‘Weeping Woman’ from the National Gallery of Victoria by the Australian Cultural Terrorists in 1986. 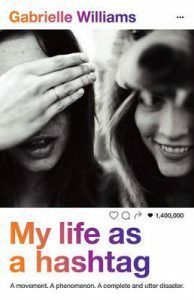 My newest book is called, ‘My Life as a Hashtag’. It centres on a girl called MC who feels like everything is going wrong in her world, so she vents anonymously against one of her best friends on-line, only to watch, powerless, as her rant goes world-wide viral a few weeks later. As with your other titles, I greatly admire My life as a hashtag (Allen & Unwin). How does this differ from your other books? ‘My Life as a Hashtag’ is a much more linear novel. It’s ‘straighter’. It’s told from the perspective of looking back over the past year, running straight through from beginning to end, whereas with all my other books I’ve always liked playing with structure. I wanted to have a more tried-and-true structure for MLAAH, because there were a number of important issues I wanted to explore, and I felt like a linear structure would help give clarity to the concepts I was wanting to examine. 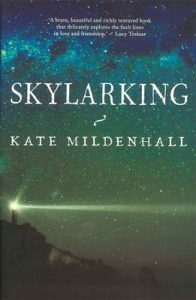 What issues did you raise in the novel? There are a number of themes I wanted to look at: the issue of social media and how teens negotiate it; family break-ups; the identity of self; the politics of boys in female friendships; on-line trolling; the fact that once you post something on-line, you have no control over what people do with it; sibling relationships; ‘blocking’ and being ‘blocked’; and watching a party unfold on social media, when you’re not invited. How did you create such a strong feeling of dread? Creating a strong sense of dread was one of the ‘balances’ we worked hard to get right. I say ‘we’ because my editor and publisher were instrumental in pushing me to go further, and pulling me back when I went too far. 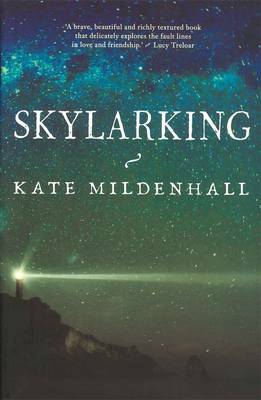 I wanted there to be a sense of dread, but I also wanted a lightness throughout the book, otherwise the story would have been too grim. The sense of dread is created partly by telling the story from the perspective of the narrator looking back over the past year, which gives the reader the sense that something momentous has happened which the narrator is now reflecting back over. This novel is very current, especially about social media. How do you know what teens are saying/doing? The irony of me writing a book where social media is one of the major focuses, is that I’m not on Facebook, I’ve only recently started getting the hang of Twitter, and I’m still nervous about posting photos on Instagram. So technically, I don’t know what I’m talking about! However, as it turned out, my lack of knowledge ended up being to my advantage, because I didn’t make any assumptions about how teenagers use social media. Instead, I interviewed a number of them about how they approach it, the politics of posting, and how they deal with it emotionally. One of the things that I found interesting was the fact that they engage with it differently from even twenty somethings, creating something of a ‘generation gap’ between teens and people who are only a few years older. With respect to the teenagers I interviewed, I was astonished by some of the things they revealed to me (to the point where some them didn’t want to be thanked in the Acknowledgements – they’d rather remain anonymous). Through my research, I learnt about a thing called the secret Tumblr diary, which parents definitely don’t know about, and even friends aren’t privy to. If a teenager has a secret Tumblr diary, it’s the place they go to find a safe (and secret) community with others who are struggling with, say, their sexuality, body image, gender or friendship issues. I found the concept of the secret Tumblr diary both alarming and comforting. Alarming, because if, for example, they’re anorexic or bulimic, there are girls (overwhelming this is a girl issue) called Ana (pro-anorexia) or Mia (pro-bulimia) who give tips on how to purge (vomit) effectively. But comforting because this is where they go to speak to likeminded individuals if they aren’t sure if they’re gay, or trans, or are trying to reconcile other confusing feelings or issues inside their head. What tips have you learned about successfully using social media while researching and writing this novel? I learnt that if you want to get the optimum ‘likes’ on Instagram, you have to time your posts for when everyone is most likely to be on-line. Generally a Sunday afternoon is a good time. Definitely NOT a Saturday night. Have you ever started any trending posts? No. I think a trending post would be quite difficult to manufacture, and the stuff that goes viral is so random, it’s almost impossible to pick. What does the cover represent? I adore the cover and think Debra Billson did an outstanding job. It’s a photo from an Instagram post, taken the night MC and one of her best friends Anouk have a massive falling out over a boy called Jed. The title and my name are written in a font which has graduated colouring, mirroring the logo of Instagram. It’s so funny to watch adults pick up my book and ask me what the cover represents, whereas teenagers pick it up and instantly recognise it as Instagram. MC and her friends are studying Jasper Jones and Harvest in English. Why did you choose these two books? 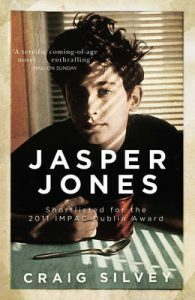 ‘Jasper Jones’ by Craig Silvey is a current school text that has as one of its themes the idea of rumour and innuendo and assumption of guilt. ‘Harvest’ by Jim Crace is set back in the middle ages when stocks in the village square were a form of punishment. Both books – even though they’re both set in an earlier time – have parallels with today’s internet culture: the public shaming, innuendo and rumour, where society makes judgments on people without having the full facts – often without even caring what the real facts are. So long as someone can be the scapegoat, everyone’s happy. What books are you reading at the moment (or recently)? I’m one of the judges for the Readings Prize for Adult Literature, so I’ve been reading plenty of new Australian fiction lately. Some of the ones I’ve personally loved (which may or may not make it onto the long or short list) are, ‘Skylarking’ by Kate Mildenhall, ‘The Lost Pages’ by Marija Pericic, ‘To the Sea’ by Christine Dibley, ‘From the Wreck’ by Jane Rawson and ‘The Good People’ by Hannah Kent. So much great Australian fiction at the moment – we’re really experiencing a heyday. The other book I really want to read is, ‘Lincoln in the Bardo’ by George Saunders which I’ve heard amazing things about. I loved Skylarking and The Good People but you’ve given me even more books I must read, Gabrielle. Thank you for your very generous answers, Gabrielle, and wishing you great success with My life as a hashtag and your other books.